Evernote, the popular note taking and archiving application is available on every platform known to human except for the burning Symbian OS. We really wonder as to what has kept the developers skip Symbian given that the platform still holds a great number of user base and bringing the app will be beneficial to both the users and makers of Evernote. But anyways, we always have an alternative for any popular app and here comes in the Notekeeper, which has all features offered by Evernote like taking notes, capture pictures, create lists of things to do and record memos, syncing for free content on the web. 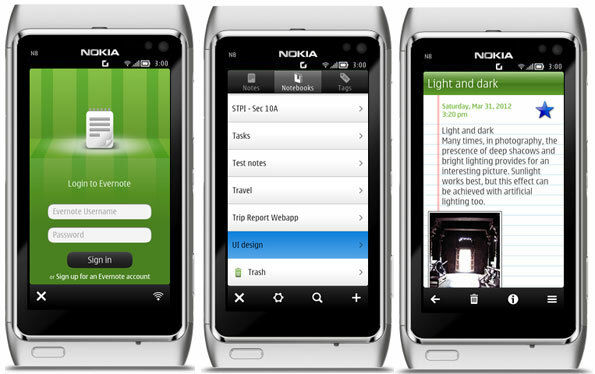 Notekeeper is available for all Symbian^3 and above devices and is up for grabs in two version, a 10 day trial and a full paid version. A free 10 day trial version can be downloaded from here. Full paid version is available for just Rs. 75 and can be downloaded from here.